Suburban teen Alex and her little brother Wyatt live in Henderson, Nevada with their mom and dad. One night, Alex and her boyfriend discover a young neighbor boy Robbie hiding in the tree house of their backyard. 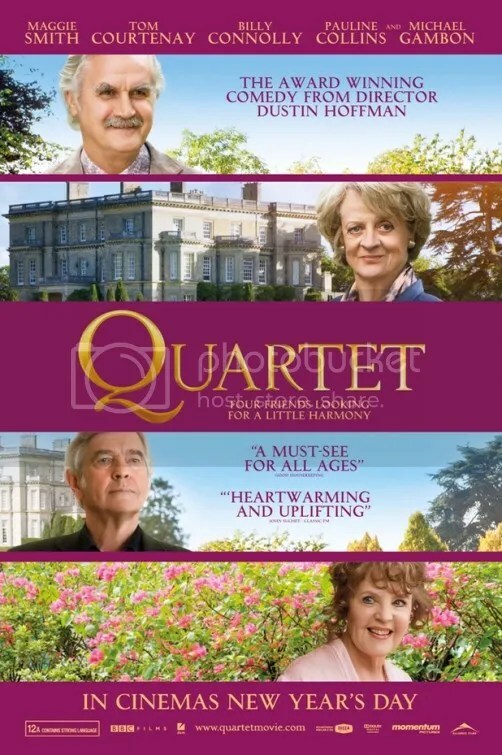 When Robbie’s mother falls ill, the family takes him in. Then creepy things start happening. For those who still care, Paranormal Activity 4 picks up several years after the events of PA2. (PA3 was a prequel to both the first and second films). Story fatigue had already crept into this series well before this installment. Once again we are presented with lots of found footage from computer webcams. Shots of seemingly empty rooms, doors that close by themselves and loud bursts of noise following a period of silence. A couple jolted me awake. The script’s contribution this time is to introduce the camera from a Microsoft Kinect video game console with the infrared tracking dots bathing the room in an eerie green light. The outline of an unexplained figure is about as scary as this gets. The human star is Alex, a teen girl played by Kathryn Newton. She is an appealing presence and conveys the natural vibe of a real teen. The same goes for actor Matt Shively who plays her boyfriend Ben. They are understandably freaked out by the strange goings on while the rest of the family inexplicably dismiss flying knives and possessed children as nothing, natch. The Featherston sisters, Katie & Kristi, have historically been the focus of the supernatural activity in this franchise. Kristi appears only in flashback and Katie is relegated to a minor character. The drama isn’t advanced in any meaningful way. We’re merely left with more of the same parlor tricks you’ve seen in 3 installments before. Except this time they’re done with less enthusiasm. Despite the lackluster performance at the box office, PA5 is coming this October. It starts with a shot of a guy displaying his impressive skill with a butterfly knife. As the tracking shot continues, it follows him as he walks through a carnival fairground. We discover he’s on his way to a show where he proceeds to mount a motorcycle and ride it into an enclosed spherical cage made of steel. He’s joined by two additional men on bikes and the resulting display is greeted with applause from the small audience. The guy is Luke Glanton and he’s a stuntman. Haphazardly covered in tattoos that almost look like doodles, he is a man of few words. It’s a brilliant start because it establishes so much about this man simply from visual clues. After that deceptively simple opening we are introduced to a former acquaintance, Romina (Eva Mendes) and her boyfriend Kofi (Mahershala Ali). The two are taking care of her infant son. This cluster of individuals is a fascinating subject for a picture. Ah but that’s merely the beginning. The Place Beyond the Pines is an ambitious tale you’ll remember long after the credits have rolled. 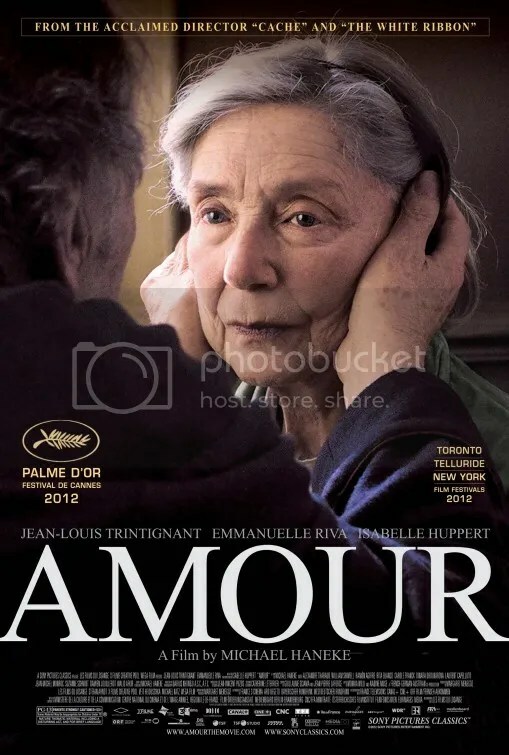 Cianfrance masterfully presents a carefully balanced epic of guilt, sin and redemption amongst fathers and sons. But he also provides car chases, guns and cop corruption. It’s got it all in a magnificently sweeping chronicle. The script’s handling of good vs. evil isn’t too subtle. However the morally questionable motives of these people often belie honorable intentions. That’s what gives these characters a depth that makes them compelling. At times it’s a bit overwhelming to process all the themes that are being addressed. 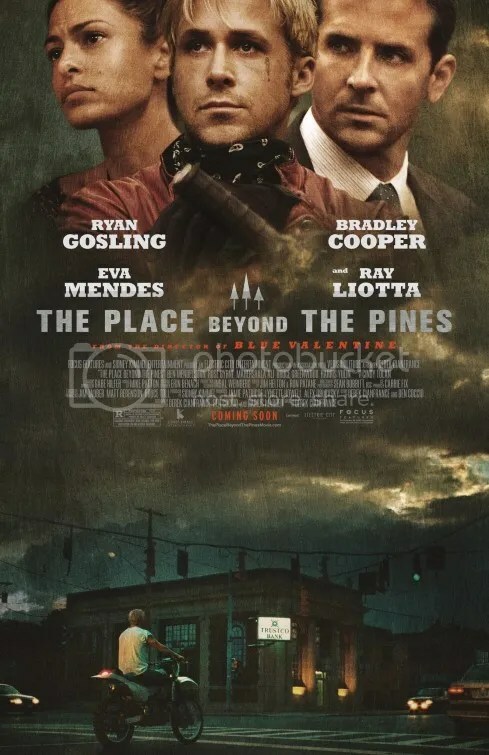 If Cianfrance’s Blue Valentine could be called an elaborate composition then The Place Beyond the Pines must be considered a grand opus of breathtaking proportions. If this is a logical progression, I can’t wait to see what the director does for an encore. There is a growing obsession for a panacea for all ills that will make life better – or easier at least. 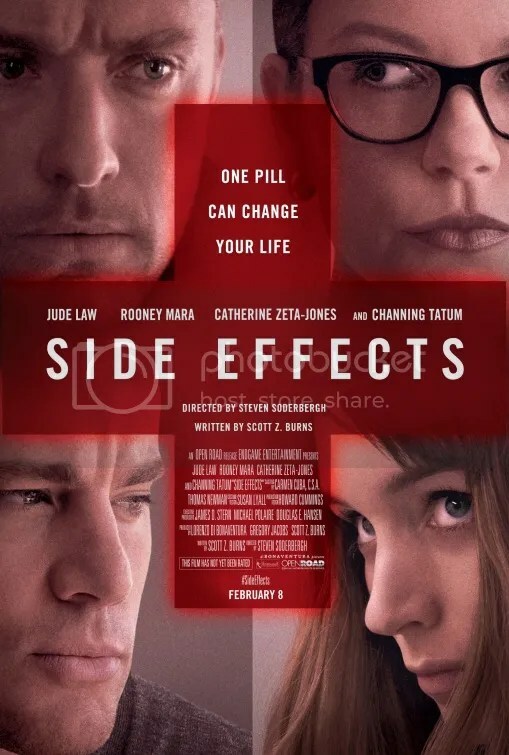 Steven Soderbergh’s Side Effects is a deceptively simple parable that exploits society’s reliance on pills as the basis for this top notch psychological thriller. Emily’s husband has recently gotten out of jail for insider trading and has returned home. Their once perfect life shattered 4 years ago. They are now left to reconstruct the pieces of their once idyllic existence from the ground up. Despite her husband’s release, Emily still suffers from depression. She even has suicidal thoughts. One day while sitting in her car in the garage of their apartment building, she stares at the brick wall ahead of her and drives full speed right into it. Enter Dr. Jonathan Banks (Jude Law) who consults with Emily after her suicide attempt. He’s a psychiatrist and begins seeing her to help treat her depression. He prescribes Ablixa, a new antidepressant drug. Initially she responds positively to the supposed miracle cure. Then she suffers some unexpected, you guessed it, side effects. Director Steven Soderbergh is working from an original script by frequent collaborator Scott Z. Burns (The Informant!, Contagion) Burns wisely captures the zeitgeist regarding our obsession with pharmaceuticals. The medication here in question here is called Ablixa, a fictional drug that could easily be a stand-in for Zoloft or Prozac or any other anti-depressant remedy in a pill. In a brilliant bit of marketing, there’s a clever viral video for Ablixa at http://www.tryablixa.com/ It features an ad that convincingly mimics the soothing music and happy people that are so often used to market medicine like this. You can even take a free evaluation of whether Ablixa is right of you. However the fact that it’s conducted by none other than Jude Law himself should clue you in that this is for entertainment purposes only. And let’s talk about Jude Law. He’s extraordinary in Side Effects. As Emily’s psychiatrist, his character undergoes a sort of crisis of conscience at first. He’s responsible for prescribing a drug that has negative consequences on his patient’s well being. Just how responsible is he? The film addresses ethics, accountability and the legal system. Rooney Mara is at the center of the drama. I think this is quite possibly the most detailed performance we’ve seen from her yet. She’s a sympathetic soul for whom you feel compassion, but she’s also cold and aloof. She conveys a deeply nuanced character that becomes more complicated as the saga progresses. As Emily’s previous psychiatrist, Catherine Zeta-Jones provides delightful support in a role that taps into the kind of hammy exaggeration she clearly relishes. Channing Tatum is the husband. He’s so busy out trying to re-establish his career again, his presence is less ubiquitous but still crucial to the narrative. This nifty little thriller is a doozy. A slowly building, twisty little conundrum that exposes layers of intrigue that gradually get revealed just when you think you’ve got things figured out. 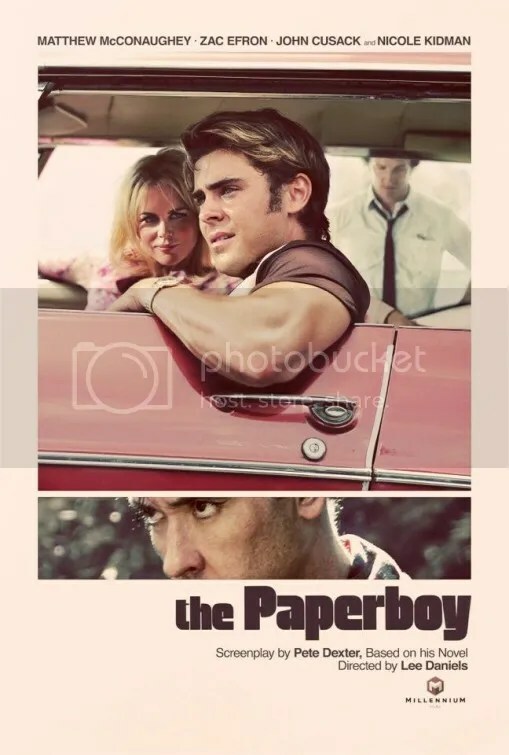 It originates as sort of a cautionary tale regarding the dangers of prescription drugs, but the screenplay expands on that and then takes things in an entirely different direction. I won’t explain further because that would spoil the fun. While things are unfolding, an almost Hitchcockian scope is revealed. Admittedly, the plot developments really ask a lot of the audience. A healthy suspension of disbelief is required to accept everything that this story puts forth. I might even go so far as to say they’re preposterous. Yet it was so addictive, I didn’t mind any of that. Rooney Mara and Jude Law have an undeniable charisma that seize our attention whenever either one is on screen. I was entranced from beginning to end. 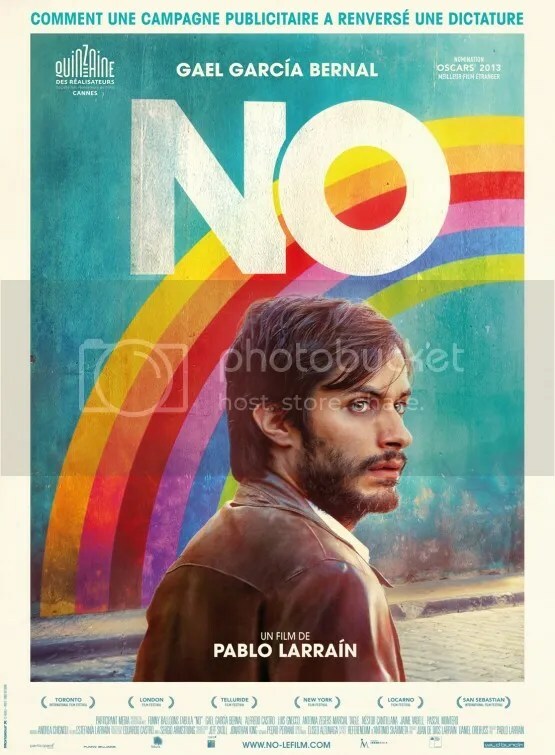 They say this is Soderbergh’s “last” theatrical film. That would be a shame. But one thing’s for sure. If that’s really the case, at least he went out with a bang. When the Academy Award nominations were announced for Best Animated Feature of 2012, I think 4 of the 5 selections were foregone conclusions. Most predicted that Rise of the Guardians would be the 5th nominee. 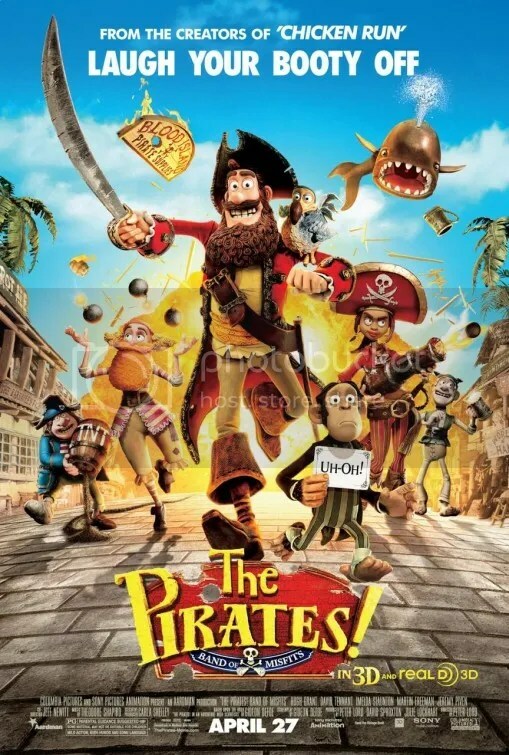 When that film was snubbed, I think everyone was a bit surprised that The Pirates! Band of Misfits made the cut instead. It didn’t really make much of a splash at the box office in the U.S., barely earning over $30 million. Plus Aardman Animations wasn’t the marketing behemoth that DreamWorks is. I am happy to report Pirates is indeed a very worthy nomination. The Pirate Captain (yes that’s his name) yearns to win the Pirate of the Year competition. But he isn’t your typical pirate. He’s actually a rather affable chap and doesn’t possess the anti-social qualities of your average mercenary. He’s backed by an amateur group of clumsy pirates that are pretty unconventional too. I don’t think the word ‘swashbuckling’ is in their vocabulary. They don’t even have proper names. Pirate with a Scarf, Pirate Who Likes Sunsets and Kittens, Surprisingly Curvaceous Pirate are some examples. At least they’re very supportive of their captain. They understand that whoever can plunder the most will be deemed the winner and therein lies their dream. Outside the U.S., The picture was originally titled The Pirates! In an Adventure with Scientists! That makes sense because during his unsuccessful attempts to raid ships, the Pirate Captain meets Charles Darwin. The scientist spies his parrot “Polly” who is in reality a Dodo. The supposedly extinct bird is intriguing to Charles. This leads the gang to an escapade in the less welcoming atmosphere of London. The Pirates! Band of Misfits! is a delight. The style is a cheerful throwback to classic stop-motion animation. Given the strong resurgence of titles like ParaNorman and Frankenweenie, audiences seem to be responding to its more organic, tangible quality. Of course the aesthetic beauty of the film would mean nothing without a good script. Indeed, Pirates is an intelligently written production. Witty jokes and funny sight gags abound for the careful viewer throughout the brisk 88 minute running time. The voice cast is wonderful but it’s telling that one of their most amusing doesn’t even speak at all. Mr. Darwin’s assistant is a highly trained chimp named Mister Bobo who communicates by holding up note cards. He’s hilarious, but the rest of the ensemble is quite good as well. 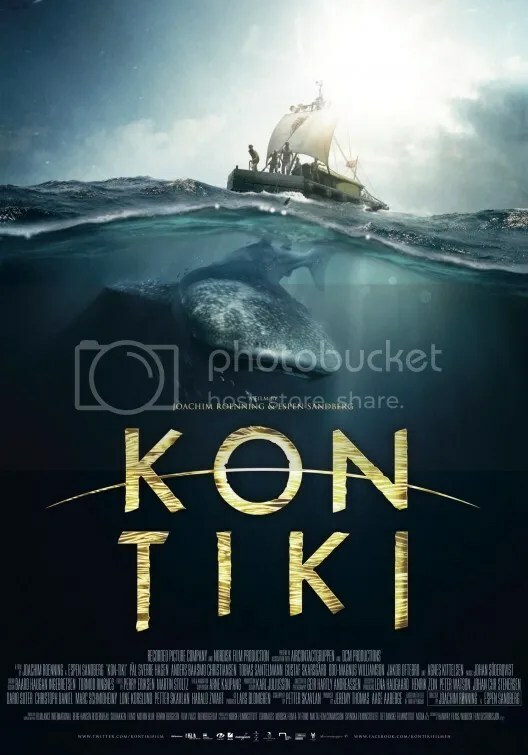 Hugh Grant has the right amount of narcissism mixed with geniality as the Pirate Captain and Imelda Staunton is a hoot as the pirate hating Queen Victoria. With its hip soundtrack (The Clash, The English Beat, Jimmy Cliff, Supergrass) and occasional gags that little tykes won’t get, this is pitched more at older kids than the toddler set. Seeing as I am well over 8 year years old, that is just fine with me.